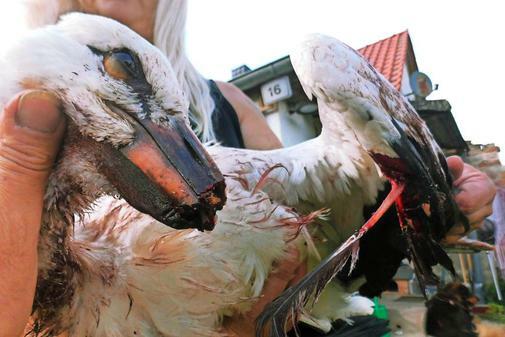 This horrible, upsetting picture shows a white stork whose beak was chopped off by a wind turbine in Germany. It subsequently had to be “euthanised” by a vet. Though I’ve given him a name – Stefan – I think we can safely predict that his ugly and entirely unnecessary demise won’t generate nearly the same level of public outrage as did Cecil the Lion‘s. Or even Finsly the Tiger Shark’s. That’s because, as Stalin might have put it, the killing of one mammal by a white, middle-class male is a tragedy. But the massacre of millions of birds (and bats) every year by greenies who say they’re doing it because they really care about the environment is a statistic. Just how many of the world’s avian fauna are killed every year by bat-chomping, bird-slicing eco-crucifixes? 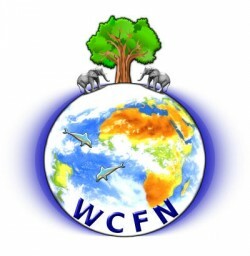 If you believe the conservation group Save The Eagles International, then the annual global death toll is jaw-dropping. But we’re unlikely ever to get an accurate figure because the wind industry takes such pains to cover up this embarrassing data. For example, last year, PacificCorp – an energy company which operates at least 13 wind energy facilities in three US states – sued the US Interior Department to prevent it releasing to the media the figures on how many birds have been found dead at its facilities. PacifiCorp claimed the disclosure would cause “irreparable harm” to its interests. Continue reading here….